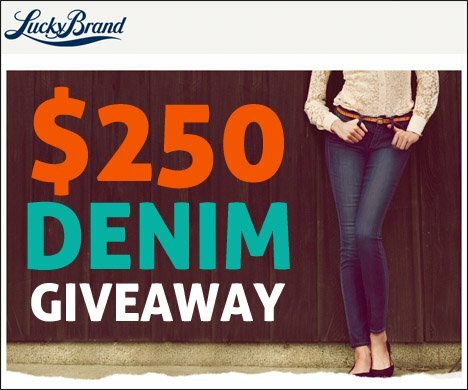 This month we have a fantastic sweepstake for all Denimology readers – Lucky Brand is giving away a $250 gift voucher which can be spent at LuckyBrand.com or one of their 150 stores across the USA. 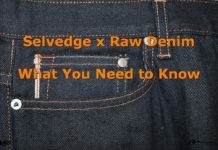 Regular readers of Denimology will be well aware that Lucky Brand offers an excellent selection of denim at a very competitive price. 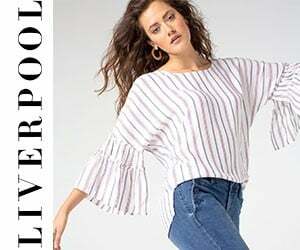 Their current women’s collection has all the most popular denim trends covered including colour, prints and coated denim, whilst the men’s collection has recently introduced a classic pair of straight leg selvedge jeans that would not look out of place in any stylish wardrobe. To enter this giveaway simply submit your email address using the form below. Please note that by entering this competition you are agreeing to receive email newsletters from both Denimology and Lucky Brand. Only one entry per email address will be accepted and the closing date for entries is Oct 31st, 2012. Thanks for the chance~! Great giveaway. Is this an International Giveaway? I would Like to enter!! I would love to win. 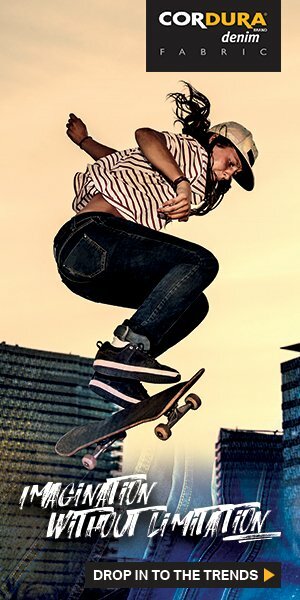 Alll the “in” people wear LuckyBrand.